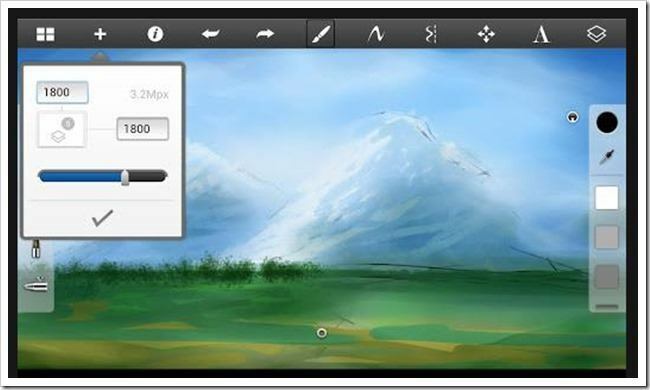 Pencil Kings » Blog » General » Could Mobile Apps Replace Your Sketchbook? Could Mobile Apps Replace Your Sketchbook? Your beloved sketchbook. It contains all your ideas, your thoughts and your personality. In fact, it probably says more about you as an artist than some of your finished work! So, can smartphones and tablets ever really replace your most treasured journal of creativity? Or, is ditching your trusty sketchbook in favor of that sparkly new smartphone or tablet too much of an emotional bond to break? In truth, most artists feel it’s impossible to replicate the joy of sketching out rough ideas on paper by tapping your finger or stylus on a strangely unemotional glass screen. Unlike dedicated graphics tablets – which in some cases duplicate the feeling of drawing or painting in real life incredibly well – there’s a distinct lack of sensitivity with many tablets and smartphones which simply doesn’t give an artist the same pleasure. However, that could all be about to change with the latest technical wizardry introduced to the market. And, with a range of specs longer than Gandalf’s beard, the next generation of apps and accessories promises to at least provide another, highly portable, outlet for your creativity. At Pencil Kings, we’re always saying you should work in whichever medium you choose. 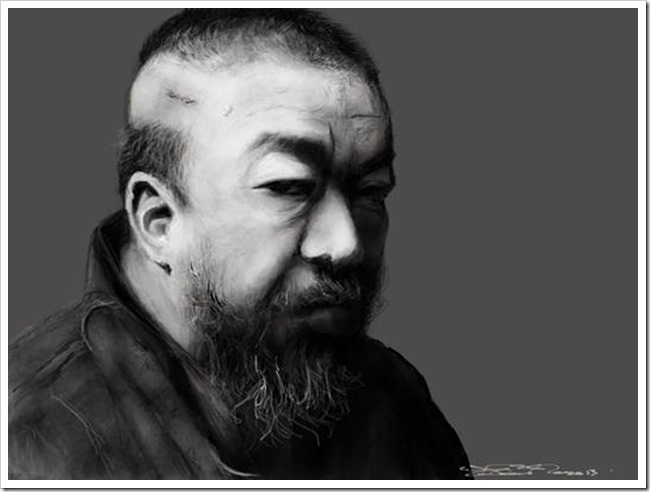 After all, this is art, people – and freedom equals creativity in our book! So, whether you choose to use a smartphone or tablet for sketching or not is up to you, but we consider it our duty (and honor!) to present some of the best kit available to help you make the right decision. Here is our handy guide to the best apps out there for iOS and Android. By far the most popular art app out there for many users, Autodesk’s Sketchbook is available in several different versions and runs happily on iOS or Android. A clean UI and a wide range of tools (even in the free version) should have you sketching out ideas in no time at all, while Sketchbook’s other features, such as layers and an undo feature, will be instantly familiar with Photoshop or Corel users. When you’ve finished working (or when your train or bus journey comes to an end), simply save your work to your gallery or share it via your favorite social media channel. Need more tools? Simply purchase these from within the app and carry on creating! Paper by FiftyThree is a great app for all you Apple devotees out there, since it’s only available for iOS – sorry Androids! As with Sketchbook, even the free version comes with a good range of basic tools such as brushes and pens, but you can unleash your creativity further by parting with some cash and choosing one of the many try-before-you-buy extras available from within this app. Take advantage of features such as the high-resolution ink tool and pen nib or use the marker pen feature to create crisp, clean outlines for your work. Many users have commented favourably on this app’s stripped-down approach, which leaves you free to spend less time getting lost in technology and more time making art! Once you’ve created your notebooks based on date or theme, you’re free to doodle away to your heart’s content knowing your work will be saved automatically. And, when you’re done, why not let the whole world see your creative process on all the popular social channels? There’s even a free Tumblr theme for you to showcase your work. Another one for fans of fruit-based gadgets only, Procreate by Savage is an immensely powerful app that comes highly recommended by many users and won the Editor’s Choice Award from Imagine FX. This highly intuitive piece of software comes with 48 highly customisable brushes and makes full use of the iPad’s powerful GPU to deliver super-fast performance and accuracy. And, with the capability to handle hi-res files bigger than 16MB and export your work as a layered Photoshop file, you can easily produce high quality artwork to develop using your desktop later. ‘Hey, what’s with all these iOS-only apps?’ we hear you Android fanboys and girls ask. Well, wait no more, because Infinite Design from developer Sean Brakefield comes fully-loaded with features that could shake Apple fans to the core. Featuring a clever, fluid UI with familiar features such as layers, this app has some innovative extras too, such as infinite zooming capabilities and multiple axes on which to draw. Pan around your canvas from any angle, rotate your work and enjoy full vector support for paths plus a wide range of drawing and painting tools. The eraser tool even allows you to select which paths will be rubbed out or not. Once you’re done, export your work to a wide range of formats, including PNG, SVG and PSD. And, don’t worry about losing your masterpiece – this app has got your back with its handy auto-save function. It’s also worth checking out the companion app, Infinite Painter, for a whole host of incredible features to get your creativity flowing. For some reason, Artrage doesn’t seem to feature too highly on the must-have apps lists of many pro artists, but it’s worth taking a second look at this highly versatile, iOS-only piece of software. Think this app is just for newbies and doodlers? Think again! With customizable layers, ultra-realistic paint, pencil and canvas effects, a color mixer, plenty of tools and multiple file format support, this app is suitable for beginners or pros and is a great choice for those of you who want to achieve painterly effects in your work. We should also conclude this guide by saying that owners of Windows tablets also have a wide range of options at their fingertips, with more expensive models such as the Surface Pro being able to run full versions of Photoshop CS6, for example. Fed Up With Fingers? 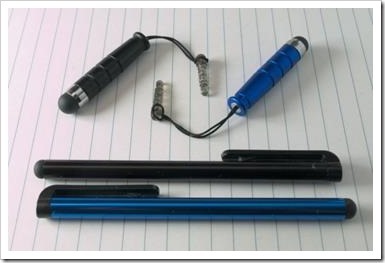 Get Started With a Stylus! Although each of these apps have different features, they all have one thing in common – if you want to get the best from them, you’re better off using a stylus than your fingers. Happily, it’s possible to buy one of these in many stores or online without breaking the bank. However, if you’re looking for the same pressure sensitivity you get from your dedicated graphics tablets, you’ve probably got a long (and much more expensive) search on your hands. The reason? Apart from the Android-friendly Samsung Galaxy Note, a few HTC and Lenovo models and Windows tablets, there aren’t really that many available with pressure-sensitive screens. And, at the time of writing this blog post, there was no news on Apple launching this feature for iPads any time soon. As a result, most artists who own a mid-range tablet are going to have to invest in a pressure-sensitive stylus to achieve some of the results they’re used to from working at their desktops. A cheap everyday non pressure-sensitive stylus is fine for sketching out ideas, but if you want to produce professional finished work using your tablet, it’s worth taking a look at the options out there. The Pogo Connect for iOS users only is Bluetooth-enabled and claims to offer hundreds of different pressure levels. 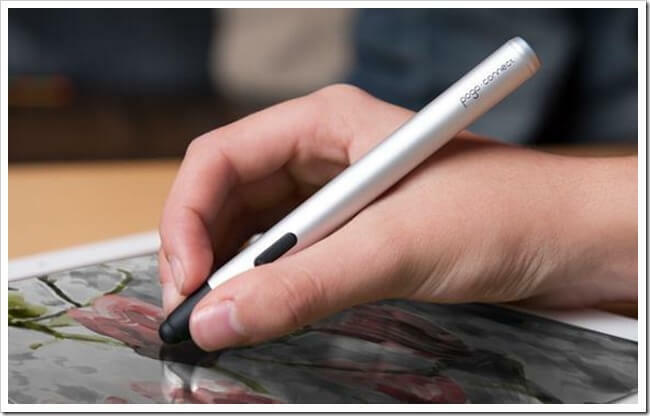 It’s compatible with Paper and Procreate, but some users have reported connectivity issues and remain unconvinced about the manufacturer’s sensitivity claims. Another Apple-only product, the Jot Touch 4 from Adonit, claims to be the best drawing stylus for iPad and offers more than 2,000 levels of sensitivity and palm rejection so you can sketch without worrying about any unwanted results. It’s a fine looking product, but at $89.99, is a serious investment that could be out of reach for many students. At present, pressure-sensitivity is hard to find for most mid-range Android users, with only those who own a more expensive tablet being able to find suitable products. Technology moves quickly, however, so users might not have to wait too long for the latest innovation. 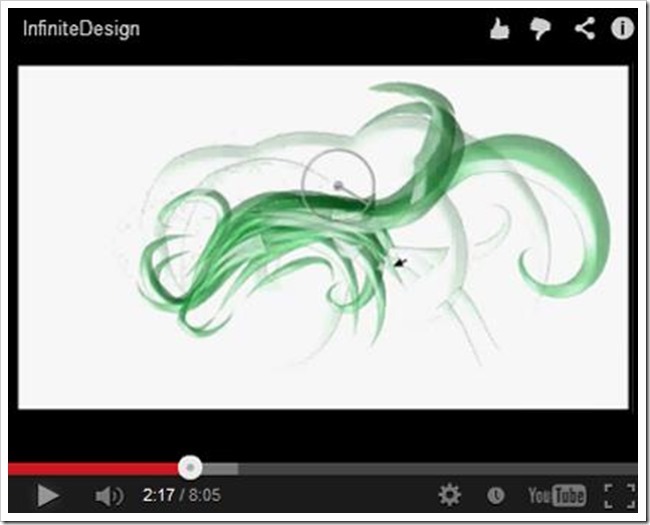 Talking of innovation, Project Mighty from Adobe looks interesting. It’s only in demo stage at present, but this pressure-sensitive stylus from the people behind Photoshop comes with a huge range of features and gives the user complete access to the Creative Cloud. And, you can even store settings in the Cloud to be used when you transfer your work on other devices, such as your desktop. The future for sketching on your smartphone or tablet sure looks interesting, but time will tell whether technology can truly replace good ol’ paper and pencils for roughing out your ideas. For our money, any of the apps listed above are great fun and ideal when you need to get something down quickly. We at Pencil Kings particularly like Sketchbook and feel you shouldn’t let the lack of pressure-sensitivity at this stage put you off – after all, is it really that big of a deal when you’re just working out ideas? We hope you found this guide useful and would love to hear your comments. Perhaps you’ve found some other great apps not listed here? Have fun, keep creating and we’ll see you soon! Are Public Schools Shortchanging Your Child’s Creativity?